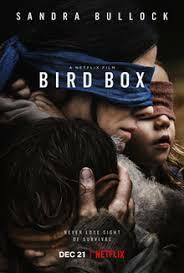 Many Netflix watchers have seen or have heard of the movie “Bird Box” that was released in December of 2018. It has been all the rave since its release but with its fame, an interesting pattern was noticed by moviegoers. 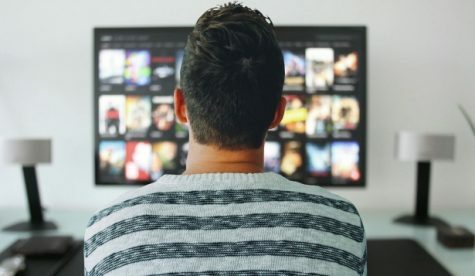 In the past year, there have been multiple movie releases but many of the popular thrillers have shared the feature of not being able to use a specific sense. In Bird Box, it’s not being able to see and in A Quiet Place it’s not being heard, but besides the obvious, t he two movies have many more similarities. 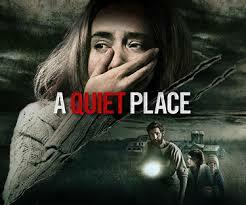 al genre-bending exercise, technically sleek and accomplished, with some vivid, scary moments, though it’s a little too in love with the stoned logic of its own premise,” writes Owen Gleiberman from Variety, and “An intriguing premise makes ‘A Quiet Place’ an essential horror flick because of its understanding of the genre, and a cast that absorbs you into their terrifying world,” writes Neil Soans from Times of India. Within A Quiet Place and Bird Box, both main characters have very similar motives. In Bird Box, the main character’s cold exterior front is slowly melted away by her determination to save her children, and in A Quiet Place, the main character is also determined to protect her family and ensure their survival. In addition to this, the theme of extracting a certain sense in order to survive is in both movies. In Bird Box, the characters have to walk around blindfolded so they don’t see their attackers and in A Quiet Place, the characters aren’t allowed to make any noise. Although this may not be the direct reason for both movie’s popularity, it is certainly the most obvious reason considering other movies of this nature have been greatly liked, too. A difference that can be found within both movies is that A Quiet Place got a significantly greater amount of good reviews while Bird Box got several negative ones. Whether it be because critics thought the movies were too similar and A Quiet Place came first or poor execution of the genre, one was obviously more liked than the other. But despite professional opinion, both movies are truly thrillers and are worth the watch.